Just a quick visit to the zoo with my nieces, they want their holiday seeing animal, so we went there again, the last time i visit to the Ragunan Zoo it was quite awesome but i haven’t got a lot pictures because it was too crowded, I prefer Taman Safari more because the weather is more cooler and it’s not too crowded. When we arrive at 9am in the morning, the weather is nice. 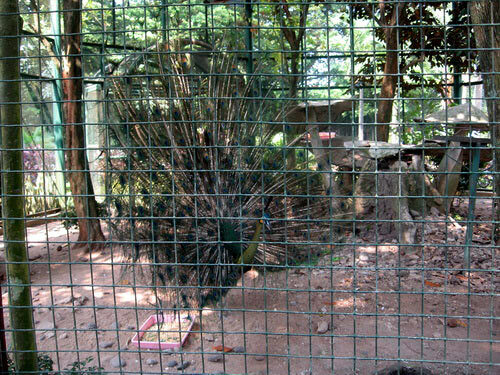 the first thing that we do is looking at the huge cage for peacock, i wonder why does have to be this huge. 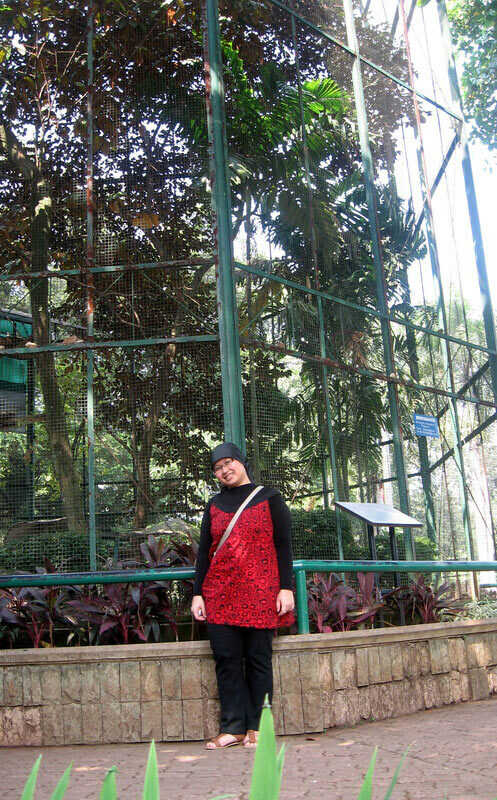 i took pictures of my wife in front of it, the cage is huge right? Bear, giraffe, lions, deer, komodo, you name it, there’s lot of it, but my main reason of this trip, is having a good time with my niece, so i don’t take a lot of pictures of the animal there. after almost 6 hour, we went home to get some rest. In your birthday, you are the one that spends money in treating your friends. Our former president Soeharto ruled in indonesia for 32 years. Strange fact that no matter how poor the person is, they always have money to buy a cigarette. it is estimated only 10,5 % of the population here use internet from the total 237 million people (2008). 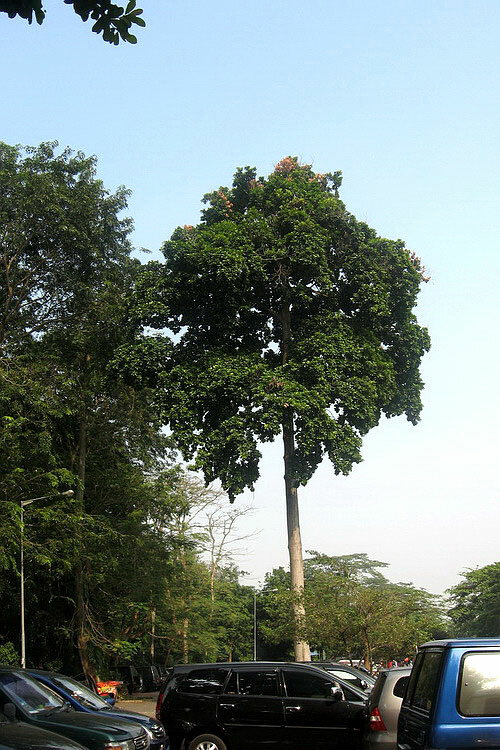 The cost of a gallon of gas is $ 2.3 USD (Price at november 2008) or for a liter of gas is 60 cent USD. 80% the population belief are Islam or Moslem. you are expected to open your shoe or slipper when you visit someone’s home unless the owner allow u to wear it. Rice is the nation staple diet. 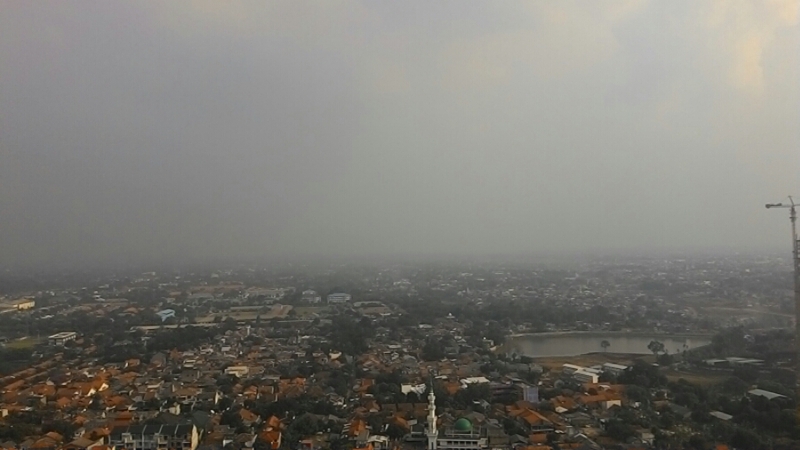 The average temperature in Jakarta is 32 Celsius or 89,6 Fahrenheit. oh yeah, btw we use metric system. Pork or pig meat are rarely found in the supermarket or flea market, cow and chicken is the common one. In here, u can combine rice with anything, with fried chicken, steaks, soups etc. Kissing mouth to mouth is considered taboo in public. 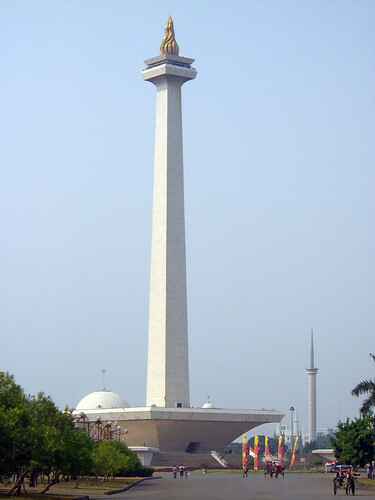 The top of Monas Tower (National Monument) are gold coated. Because i go there on holiday, the place is too crowded and what make me really sad the animal is fed with random kind of food by the visitor. They don’t realize it’s hurting the animal by doing that way. There’s no security guard near the animal too. The place is really huge, around 1.4 km². the entry ticket cost Rp.4,400 (around 50 cent USD). There are a couple of method of transportation available beside foot, one of them are bicycle and dokar. U can rent bicycle for Rp.15,000 an hour (less than $2 USD). We rented 2 tandem bike for about an hour. 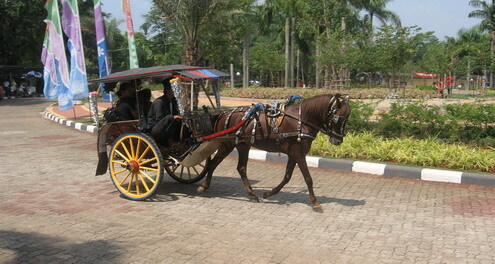 In case u didn’t know what dokar is, dokar is a traditional method carriage wheel using horse as the puller. Look the pic bellow to see what i meant. 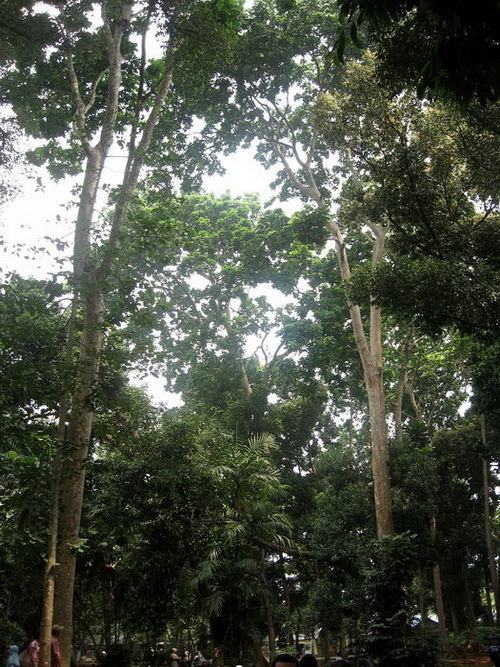 The dokar cost Rp.10,000 for one trip only. There’s a children playground inside, but many from the original zoo provider looks like an abandon nuclear facility :P There are others like balloon park or small theme park inside, each will cost around Rp.10.000. Here’s a classic one rail coaster on the theme park. This thing remind me the days when i played Rollercoaster Tycoon when it first came out on pc. ps: dont forgot to bring food and beverages, beside the price, there’s not much choice of food. 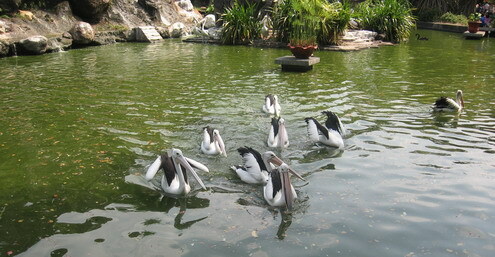 A flock of pelicans are in the small pond near the entrance, the pond itself have a lot of fish, so we can see the pelicans eating. This is the only clear shot of Komodo, its on the slope that’s why it look like in a strange angle. FYI, komodo eat cadaver, they have a poison on their saliva. So if they hunt, they only purpose to bit the victim, wait for it to die and rot (around a day). A couple weeks ago i ate a fabulous lamb satay and Tongseng, it’s not too pricey but it taste really delicious for my indonesian taste, the meat was tender at the right point. 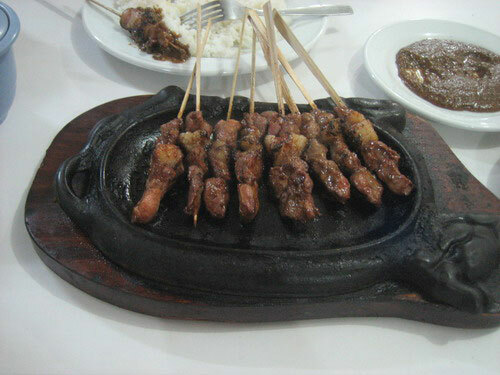 in case u didn’t know, satay is pronounce sate in indonesia, just like when say pate. When u eat satay u’ll goin to use some kind of sauce to eat it, u had to choice either u use black sweet soy sauce(kecap) or peanut sauce(use sweet soy sauce too but with peanut :D ). U could see the what satay look like, just see the current pic. 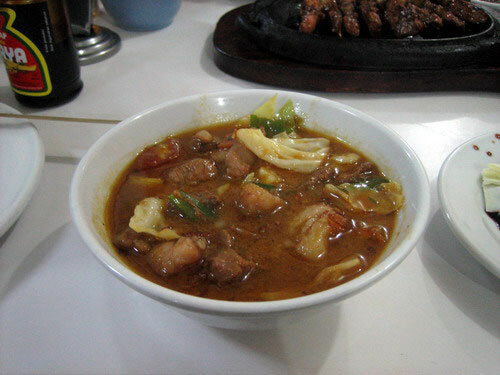 i also ate tongseng, it’s hard find an info about tongseng in the web, but this is a description to it that i can get. A delicacy using mutton and it is called ‘Tongseng’. The mutton is boiled using charcoal.